Unionist and republican figures at Cardiff forum agree ahead of marching season . . .
A CROSS-COMMUNITY FORUM organised by the PSNI and attended by representatives from unionist and loyalist parties and organisations, Sinn Féin, the SDLP and church and community figures was held in Wales on Monday 20 May in advance of the marching season in the North of Ireland. 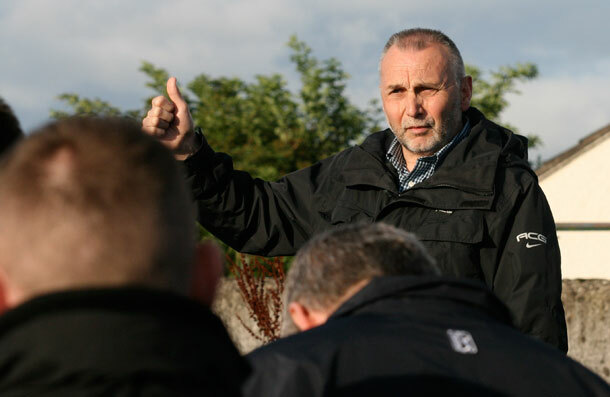 Prominent unionist figures such as Winston Irvine, Mike Nesbitt, Jackie McDonald, John Bunting and Nelson McCausland engaged in discussion with Sinn Féin’s Seán Murray and Gerry Kelly as well as others in Cardiff. Seán Murray told An Phoblacht the talks achieved a degree of progress and were “candid, honest and worthwhile”. That said, there are still challenges ahead, as Murray acknowledges here, and reminds us of the progress made in areas once blighted by invasive parades. THE ONSET of what passes for our summer season in Ireland heralds the perennial challenges for republicans and local residents’ groups. They are to the fore in defending the right of all citizens to be free from sectarian harassment in all its manifestations. In tandem, they continue to work alongside key stakeholders on developing constructive resolution strategies for outstanding parading disputes. These came about as a result of meaningful dialogue and mutual accommodation which, if the will exists across the board, could also deliver resolutions to outstanding disputes elsewhere. Facing into this summer, one can detect a number of fresh dynamics. Recent flag protests have set a negative and volatile context for this year’s parades. Initial police inertia in the face of clearly illegal protests and parades undermined both the rule of law and confidence levels in our new policing dispensation. It also contributed to the agenda of political unionism and loyalism in seeking to make the Parades Commission both powerless and irrelevant. It is a concern that this scenario could be exploited by anti-Peace Process elements in highlighting contrasting operational approaches by the PSNI vis-ą-vis their handling of road-blocking protests and marches. 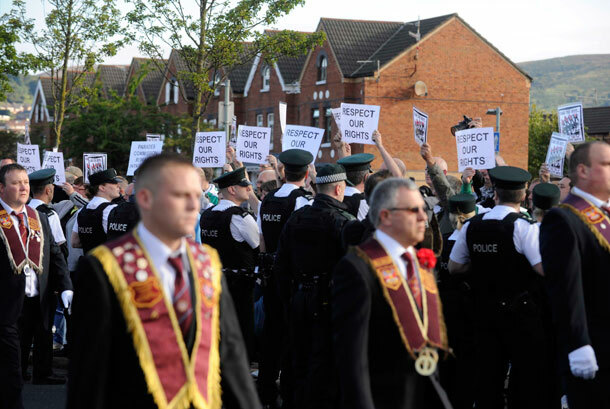 The Orange Order has adopted a new tactic of applying to local councils for ‘gatherings’ on council property in close proximity to nationalist areas at the same time as associated contentious parades. This is clearly aimed at intimidating both the police and Parades Commission as they seek to fulfil their statutory duties around contested parades. Thankfully, the Orange Order in Portadown withdrew their application for an event in the park that borders Garvaghy Road and relocated their ‘mini Twelfth’ parade on 8 June. It passed off peacefully. Hopefully, the Orange Order in Belfast will adopt a similar approach and withdraw their application for their gathering on the Twelfth in Ballysillan playing fields, close to Ardoyne. In the face of such provocation, nationalists must remain calm but resolute and confident in their own ability to both manage and resolve any and every scenario that may develop this summer. The stakes are high but the rewards are tangible. The prize is the consolidation of our peace and political processes and the further isolation of the political extremes from both traditions.